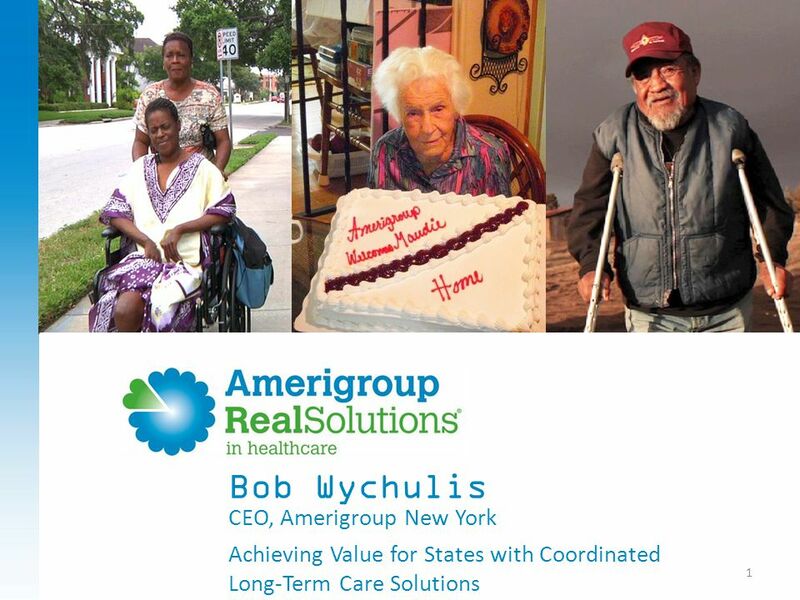 1 CEO, Amerigroup New York Achieving Value for States with Coordinated Long-Term Care Solutions Bob Wychulis. 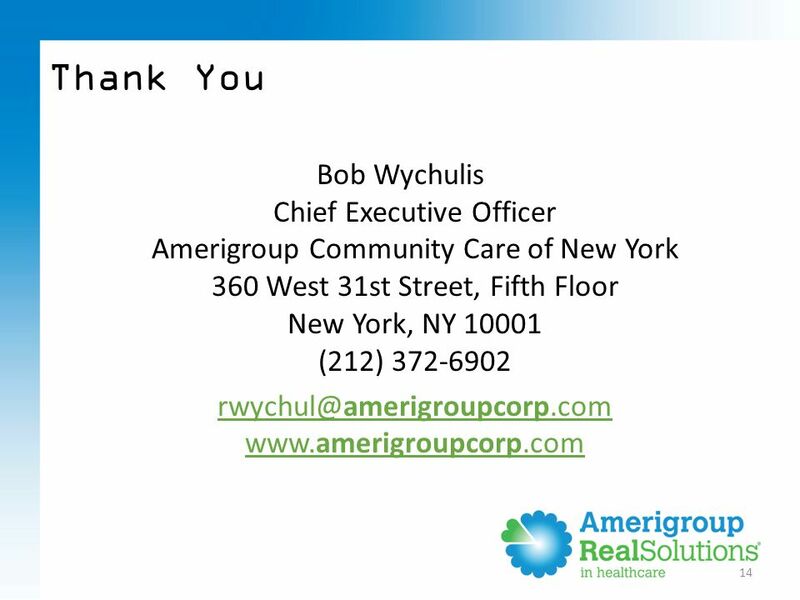 Download ppt "1 CEO, Amerigroup New York Achieving Value for States with Coordinated Long-Term Care Solutions Bob Wychulis." 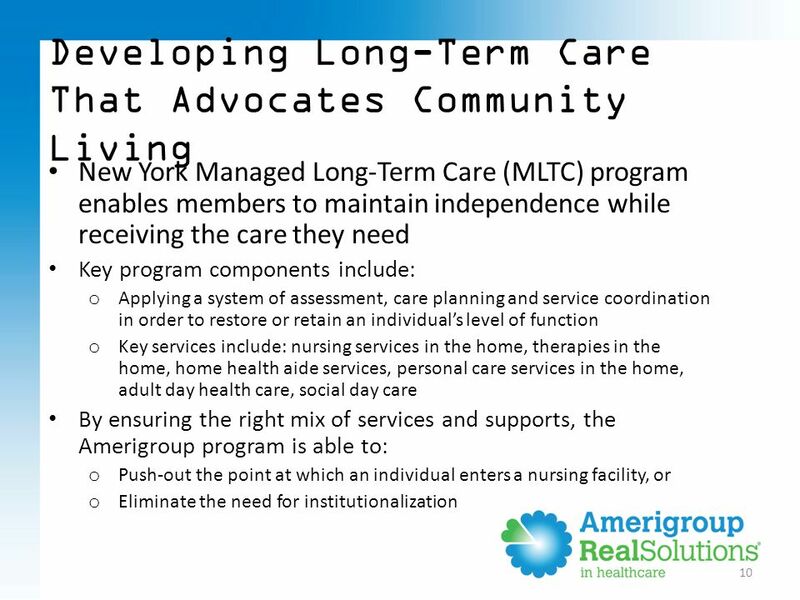 PACE – Program of All-Inclusive Care for the Elderly: Innovation, Compassion and Value in Caring for Americas Dual Eligibles Shawn Bloom, President/CEO. 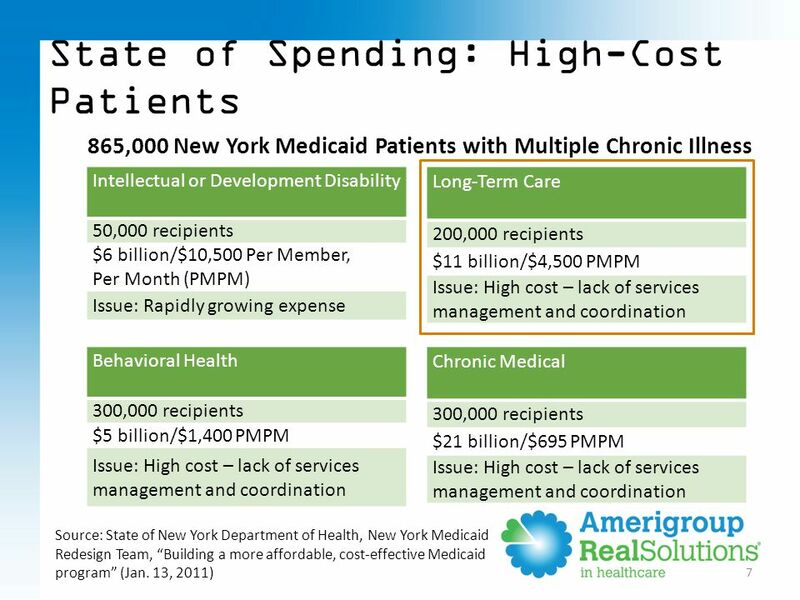 Navigating the Complex Care System Models and Costs 1. 1240 College View Drive, Riverton, WY Phone A non-profit organization 5 I MPORTANT H OSPICE F ACTS 1.Hospice is NOT only for the last. 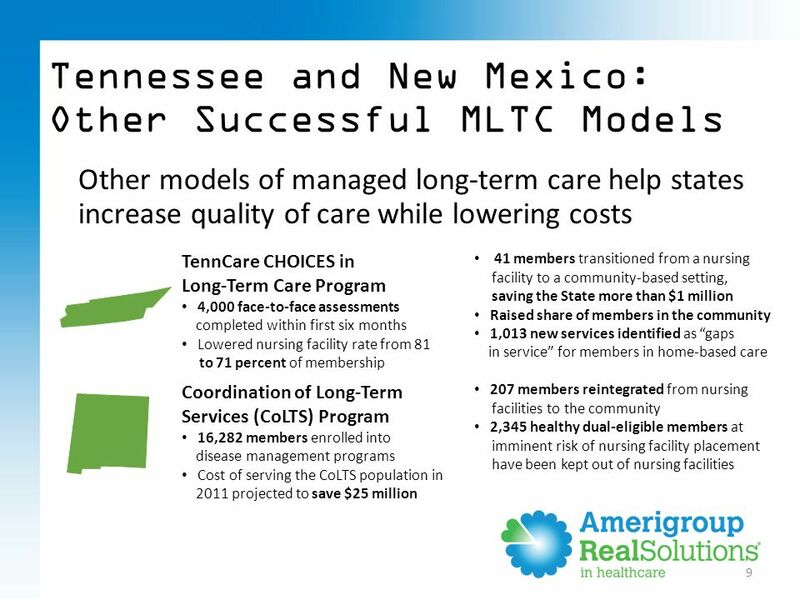 Medicaid’s Role in Long-Term Services and Supports Alliance of Health Insurers September 9, 2014. 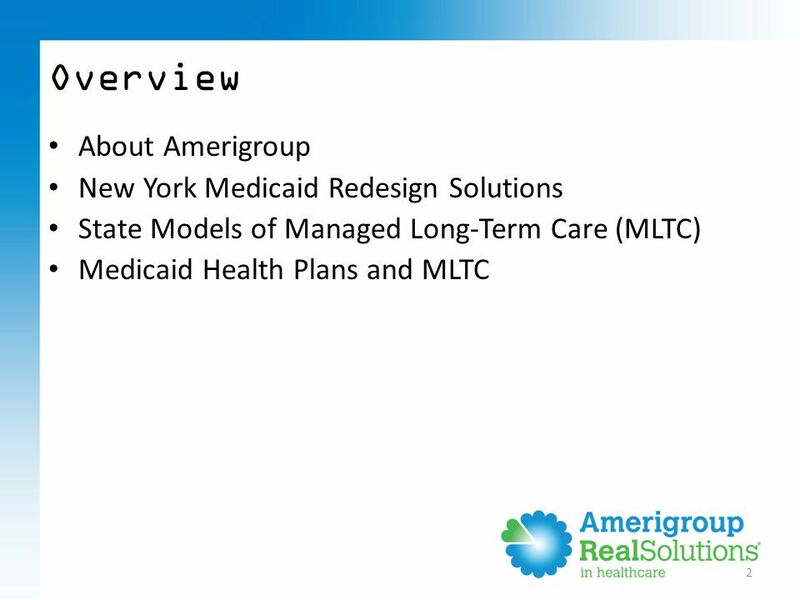 Avalere Health LLC | The intersection of business strategy and public policy Long-Term Care Financing Reform: A Federal and Private Insurance Partnership. 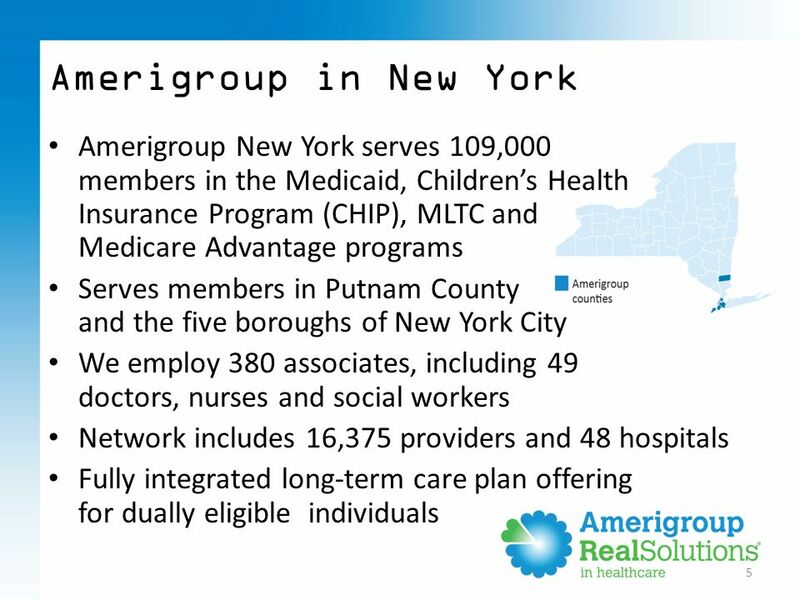 Transportation Housing Options Chore Providers Referral Nutrition Programs Legal Assistance Long Term Care Concerns Holiday Meals on Wheels Long Term Care. Partnership for Community Integration Iowa’s Money Follows the Person Demonstration Project. 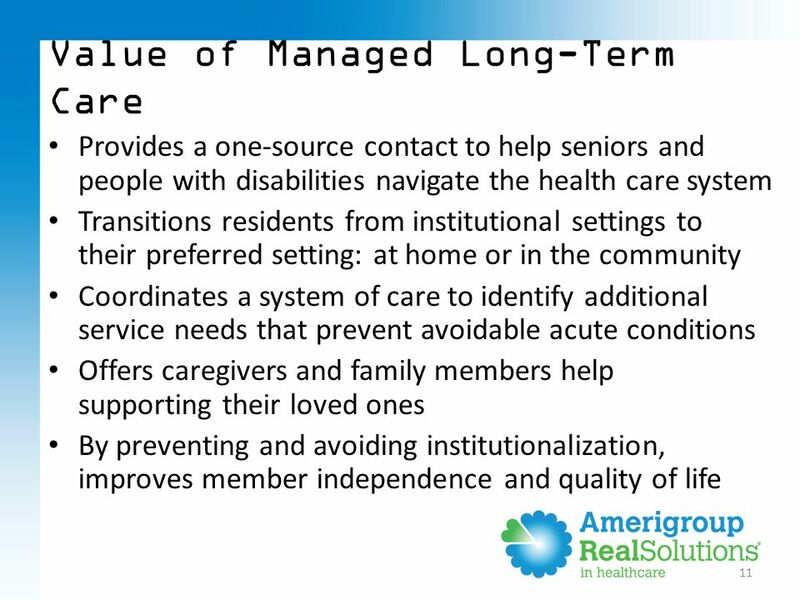 Long-Term Care Integration in San Mateo County Jean Fraser Maya Altman Maya Altman March 10, 2011. 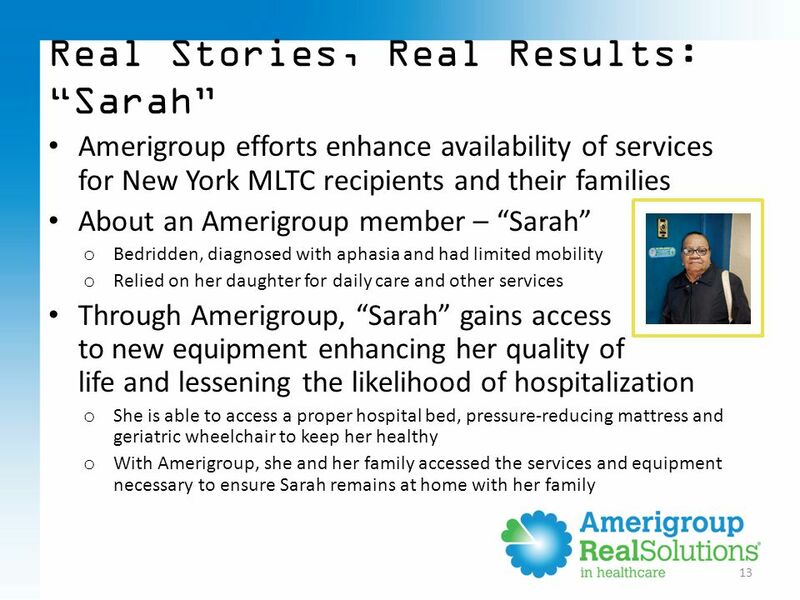 1 Financing Long-Term Care for Minnesotans Presentation at VAN Forum March 24, 2010 LaRhae Knatterud Minnesota Department of Human Services. 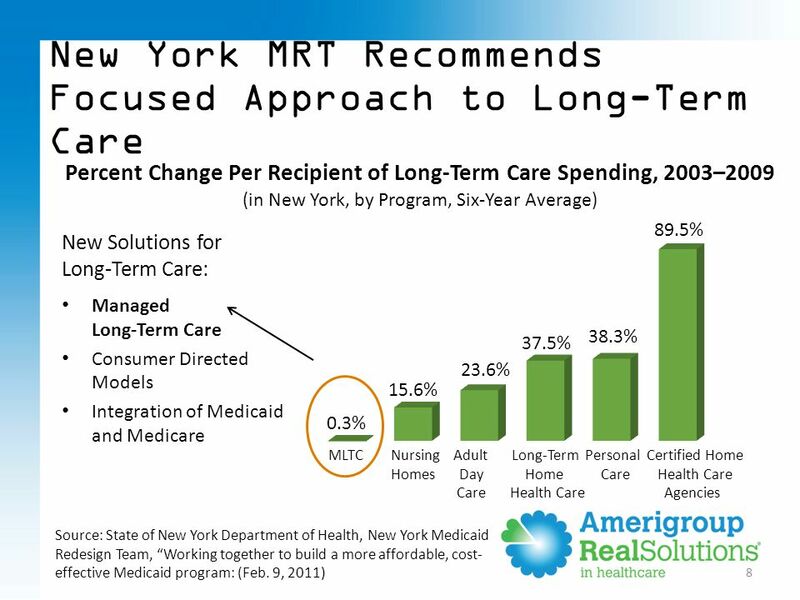 Can Health Care Savings Drive a New Funding Model For Affordable Housing? Housing and Health Care Programs and Financing that Integrate Health Care and Housing Housing California Institute April 15, 2014 John Shen Long-Term Care. Webinar Basics How do I ask questions during the webinar? 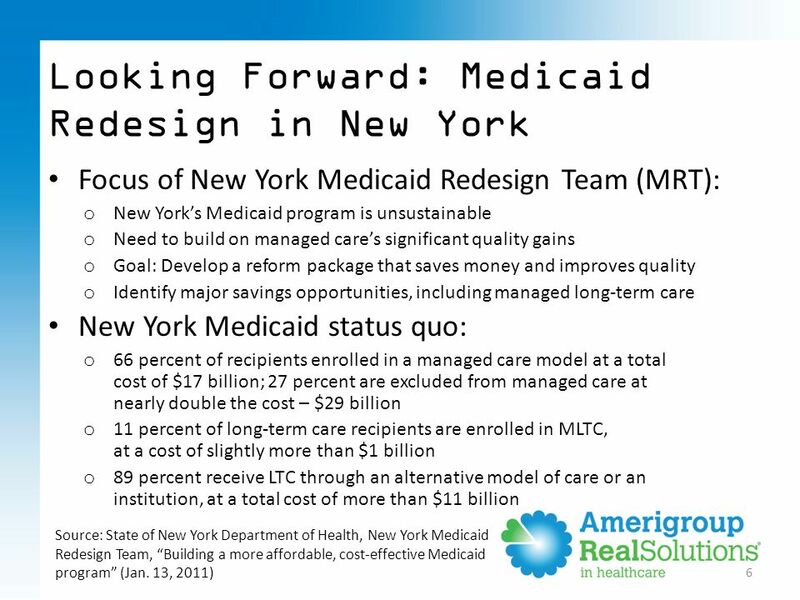 Recorded webinar and PowerPoint slides will be available after the webinar. Special thanks to. 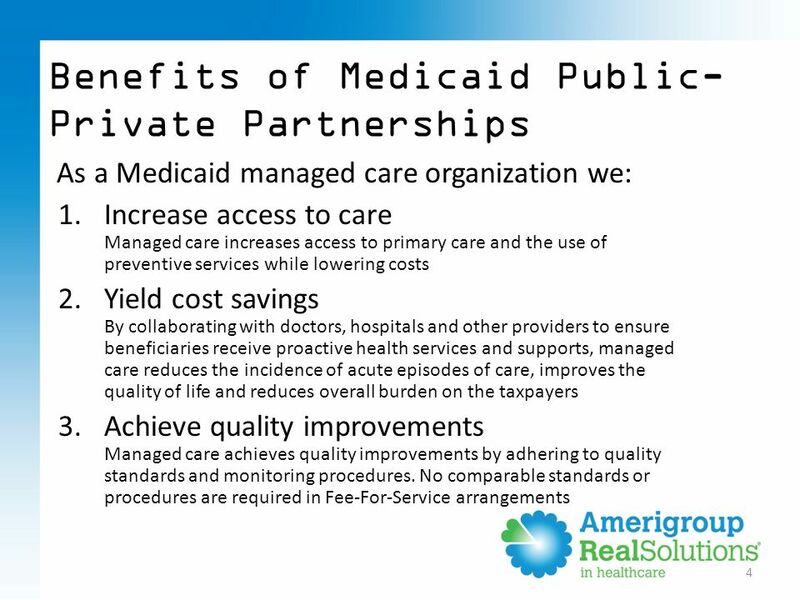 1 Wisconsin Partnership Program Steven J. Landkamer Program Manager Wisconsin Dept. of Health & Family Services July 14, 2004. 1 Michigan’s Long-Term Care Conference Hilton Detroit, Troy March 23-24, 2006 Michigan Nursing Facility Transition Initiative. 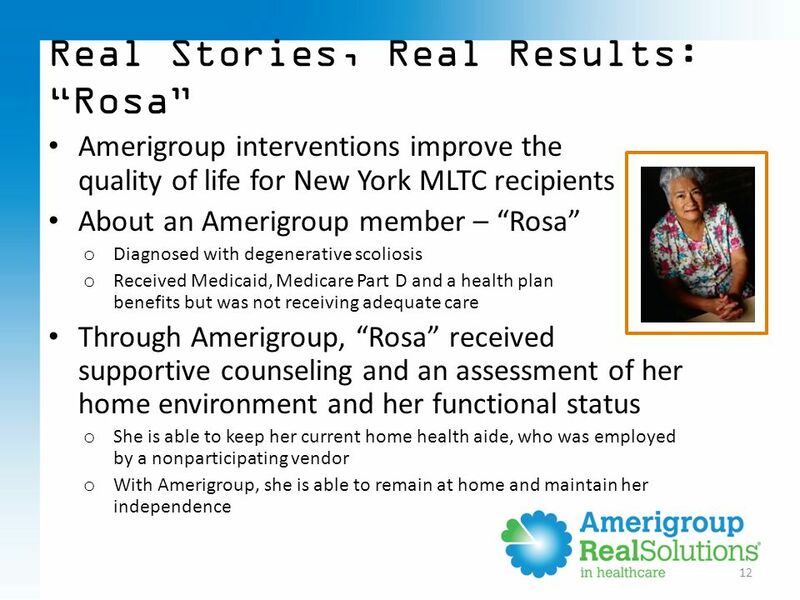 It’s All About MME Tasia Sinn September 18, 2014 Understanding Colorado’s New Medicare- Medicaid Enrollee (MME) Program. Community Care Access Centres Your Connection to Community Health Services and Long Term Care October 30, 2006 Val Armstrong, CCAC Simcoe County. Creating Choices to Support Independence: A Consumer-Centered Approach to Long Term Care 2007 Annual Long Term Care Ombudsman Training Institute October. 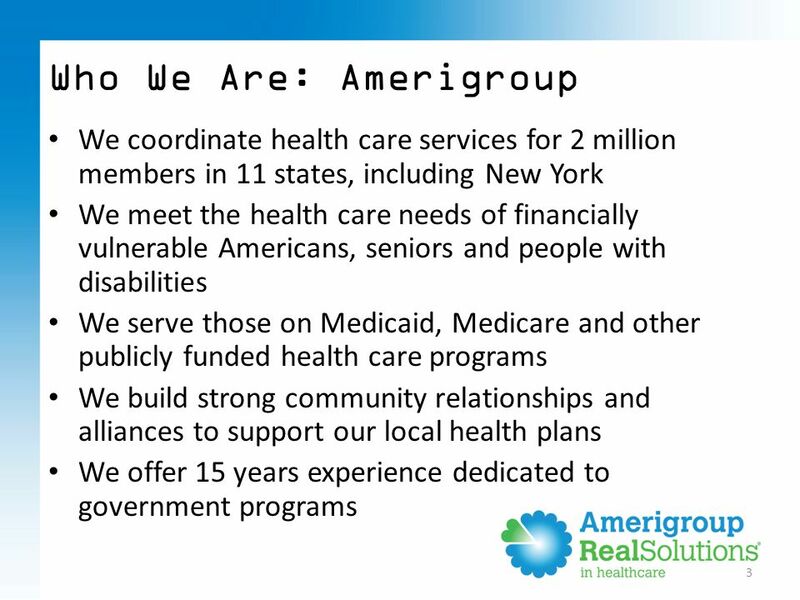 MEDICARE: PAST, PRESENT AND F UTURE James G. Anderson, Ph.D. Department of Sociology & Anthropology. Section 1115 Waiver Implementation Plan Stakeholder Advisory Committee May 13, 2010.